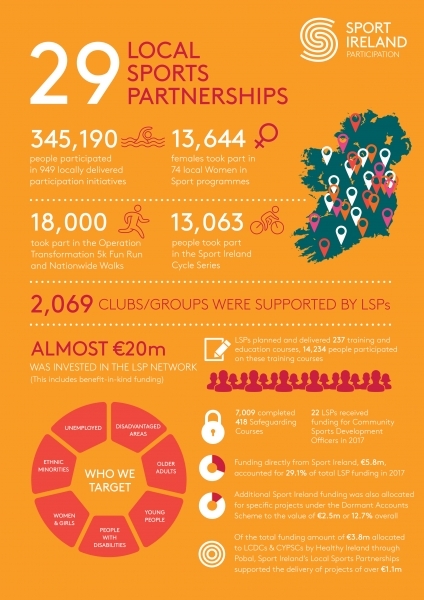 Sport Ireland today published the 11th annual Sport Ireland Strategic, Planning, Evaluation and Knowledge (SPEAK) Report on the national network of Local Sports Partnerships (LSPs). Almost €20 million was invested in the LSP network, including benefit in kind funding. The full 2017 SPEAK Report can be viewed here.